When you think about decorating your home, then a lot of things are there that can help you in this requirement and blinds can be a good example for same. 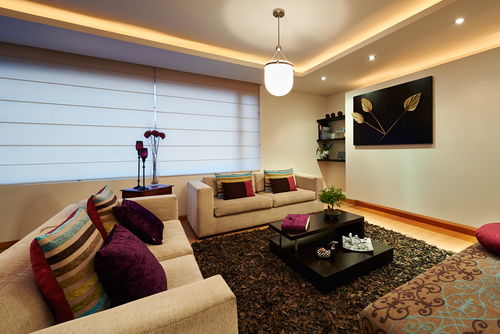 With the help of blinds, you can certainly get an amazing look for your house. There are so many options available for blinds, but most of the people give preference only to rainbow blinds and Venetian blinds. But if you are not sure what are the differences for same, then here are some of the things that you can notice between Rainbow blinds vs Venetian blinds and I am sharing those differences with you. Colours: In Venetian blinds you don’t get a lot of option for colors selection. While rainbow blinds are as colourful as its name is. In rainbow blinds, you can have a lot of colors that can help you get a lot of vivid feeling in it. This will be certainly a nice thing for you to add some shine to your house. However, you do not get such freedom with Venetian blinds because that is mostly in one color and you don’t get vivid options in it. This is definitely a big difference that you may notice in both of these options. Material: The Venetian blinds can come in a number of different material including PVC, aluminium and wood. But if we talk about the rainbow blinds, then it can have more options for material it can have more material options. These options not only include aluminium, wood and PVC, but you can also get the same in vinyl, cloth, and many other things. Most of the time, its material can vary depending on the budget that you have. If you have higher budget you can get better outcome as well. Features: Features of Venetian blinds are quite different than rainbow blinds. In rainbow blinds you can have different options for the pattern, fabric and its working methods. Also, rainbow blinds are mostly available in the vertical and horizontal type. However, this is not the same with Venetian blinds and you may not get horizontal style blinds in it. In Venetian blinds, you mostly get the horizontal style blinds and if you want to have vertical style, then you may need to specially order that. Also, you may need to give more time and money for same after ordering it. Life time: If materials are same, then life expectancy for both the blinds can be same and you can get good life with it. But if it’s not the same then life of blinds may vary depending on the material. If you get rainbow blinds made of fabric, then it may not give same kind of life expectancy to you. A fabric may never be as strong as aluminium or wood is and that is why it can last for lesser time. So, it is advised that you keep this thing in your mind while buying it and you expect the life from it accordingly. Maintenance: Maintenance of the blinds are quite easy in both the cases considered you choose right kind of material for same. 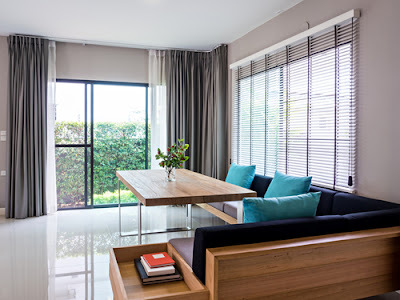 If you chose aluminium blinds, then you can clean it with a damp cloth of soap solution, but if you choose rainbow blinds made of fabric or cloth, then it may not be as easy to clean. In that situation, you need to remove your dirty blinds from the window, you need to wash it properly and you need to hang it back. That means its maintenance can vary according to the situation or condition. Cost: we cannot define the cost of blinds as so many factors are there the cost part. If you choose rainbow blinds made of a cost effective material such as fabric or vinyl then its cost will be lower while its cost may go higher if you choose a material such as aluminium or high-quality wood. So, if we say rainbow blinds can have cheaper options, then it will not be wrong. However, you have to understand that if you do not choose the right blind option then you may not get the good look with it. So, make sure you keep this thing in your mind then you can get a really good result with it. Light control: In rainbow blinds you get the chances of having great control on the light. It can have a lot of options or styles that allow you to have control on the light part. You may not have this kind of liberty in venetian blinds. Since venetian blinds have very few options or controls that may not allow you to have control on the light. But in rainbow lights you can have multiple controlling options that can include the light easily. This is certainly the best and most amazing benefit that you can get with it. In addition to these things, you can find so many other differences in both the options. 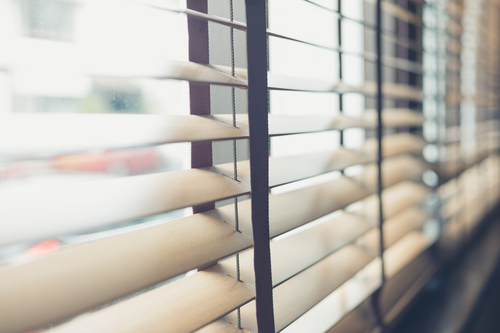 So, you can search for those differences as well and you can think about choosing the right kind of blinds for your home. By choosing right kind of blinds you can get really good result with ease and you can have nice outcome as well. So, it is advised that you do the comparison of all these things and you make your decision accordingly. That will help you have the best outcome with ease and you are not going to have any negative effect or result as well in any way.